The American Health Council has warmly welcomed Kathleen M. Cowling, DO, MS, MBA as “Best in Medicine.” With an impressive career spanning over 25 years within the healthcare industry, Dr. Kathleen M. Cowling has been recognized for her accomplishments in emergency medicine and educating others, in particular for her ability to see potential in others. Dr. Cowling first embarked on her career in healthcare following on her original ambition of becoming a zoo vet. It was the excitement and diversity of the role which drew Dr. Cowling to work in this environment, but she soon realized she was more suited to human medicine where she could serve patients in the emergency department. To enable her to fulfill her career ambitions Dr. Cowling studied from 1983-1991, with her main areas of education stemming from emergency medicine. Throughout this time she achieved her DO and Master of Science in Bio mechanical Engineering at the Michigan State University and her MBA at the University of Massachusetts Amherst. Distinguished in the medical and educational professions, Dr. Cowling’s past experience has seen her work as the Commissioner of Emergency Medicine at the State of Michigan CON Commission for six years until 2013, Clinical Professor of Michigan State University College of Human Medicine for two years until 2013 and ACEP as a member for 22 years, but achieving status of a Board of Director for six years until 2011, as well as Vice President for one year. Dr. Cowling has worked at Central Michigan University for the past three and a half years in her current combined role of Professor, Chief of Emergency Medicine and Program Director. The daily responsibilities of these varied roles include administering and recruiting for a GME program in emergency medicine and providing lectures, whilst also teaching in clinical bedside at Covenant HealthCare. Central Michigan University is a nurturing institution that fosters the trans formative power of advanced learning. From its roots as a teachers’ college, CMU has grown to offer nationally acclaimed programs in areas ranging from the health professions and engineering to business and communications. Established in 1892, Central Michigan University is among the nation’s 100 largest public universities with more than 20,000 students on its Mount Pleasant campus and another 7,000 enrolled online and at more than 40 locations across North America. CMU offers more than 200 academic programs at the undergraduate, master’s specialist and doctoral levels. In recognition of her accomplishments, Dr. Cowling attributes her success to having great mentors throughout her education and her past and present work experiences, paying particular regards to past MCEP Executive Director Diane Bollman. She also acknowledges the people in her life that gave her support and says that they are the reason for her success today. Throughout her prestigious career, Dr. Cowling has been most proud of advocating for emergency medicine at both state and national levels, with service on ACEP’s Board of Directors. In her next steps she is looking forward to serving her local medical community as Vice-Chief of staff for Covenant HealthCare. In respect of Dr. Cowling’s many achievements, throughout her career she has been honored to receive the John A. Rupke Legacy Award from the American College of Emergency Physicians in 2016. Amongst this, she has also had the privilege to receive the Ronald L. Krome Meritorious Service Award from the Michigan College of Emergency Physicians 2006, the Legacy Award, Michigan College of Emergency Physicians in 2014 and the The Judith K. Weiswasser Memorial Award, Michigan State University College of Osteopathic Medicine in 1991. To maintain her expertise and depth of knowledge in Emergency Medicine, Dr. Cowling has maintained membership with a number of associations including the American Board of Emergency Medicine, the American College of Emergency Physicians, Michigan State Medical Society, Saginaw City Medical Society and the American Academy of Emergency Medicine. 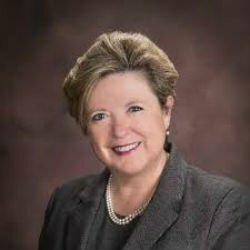 During her career, Dr. Cowling has had the opportunity to be appointed by Governor Snyder serving two terms as Commissioner, receiving the Certificate of Need and working with the MDHHS, Michigan Department of Health and Human Services. In the future, Dr. Cowling intends to continue her hard work in medicine education and aid in her professional growth to include being recognized for potential role of Chief of Staff. Outside of her working commitments Dr. Cowling loves to travel and has had the opportunity to adventure across the world. In her spare time, she enjoys watching movies and reading books, whilst also remaining active with bike riding. She also has a love of German Shepherd Dogs. Furthermore, Dr. Cowling likes to donate her time whenever she can to the Saginaw County’s Child Death Review and the Saginaw County Domestic Violence Task Force organizations. Central Michigan University is a nurturing institution that fosters the trans formative power of advanced learning. From their roots as a teachers’ college, CMU has grown to offer nationally acclaimed programs in areas ranging from the health professions and engineering to business and communications. 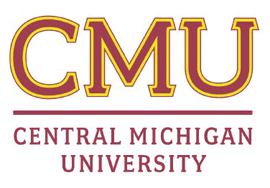 Established in 1892, Central Michigan University is among the nation’s 100 largest public universities with more than 20,000 students on its Mount Pleasant campus and another 7,000 enrolled online and at more than 40 locations across North America. CMU offers more than 200 academic programs at the undergraduate, master’s, specialist and doctoral levels.